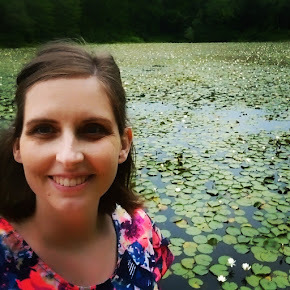 From Ashley: As I'm writing this, my son and husband are in the living room reading Rocket Town. I know this because I can hear my son's voice, "Ten, nine, eight, seven ...!" We love looking at the wild and inventive rocket designs and talking about which one is his favorite and what does he think this one does and wouldn't it be so fun to drive that one ... This is such a quirky, fun, creative book. We've read it many times over the past few days, and it is his "happy time-out" book of choice (i.e., You are being grouchy and crazy and need to sit on your bed and hug your bear and read this book until you're ready to rejoin civilized society). The illustrations are so engaging, it has worked like a charm. My three-year-old gives it two thumbs up, and so do I! The illustrations really make the book -- they're intricate and layered, something you don't always see in a board book. And each page has a rather limited color palate, but the book as a whole uses a wide range of colors. Benjamin: Mommy! Let's read Rocket Town! Benjamin: Levi (the baby brother) wants to listen? You sit next to me, Mommy. Alysa snatches a pen and paper. Mommy you read this word. Big, big, big, big! Small, small. These are small like that one. These up top of them. Mommy what's up top of them? Benjamin: Parachutes are kind of like an umbrella? A shark rocket! Rrrrar! Aaugh! That's a school bus rocket. Benjamin: It's like he's car! You read this words Mommy. Alysa: You know those words. Benjamin: 10, 9, 8, 7, 6, 5, 4, 3, 2, 1, ...and, what's gonna happen?!? BLAST OFF! Blast off, Mommy? Benjamin: He haves his helmet. The End. Now let's read Rocket Town again. 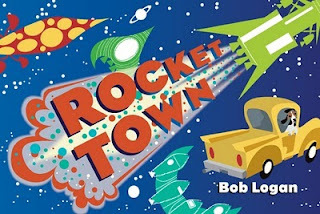 Rocket Town is nearly available for purchase (Sourcebooks, April 2011). Hope you enjoy!